Your day-by-day itinerary now includes Naylamp Sailing - Day Trips, Sky Zipline Canopy Tour at Red Frog Beach and Bocas Ebikes. You'll explore the less-touristy side of things at Up In The Hill and Bastimentos National Park. Change things up with a short trip to Playa Bluff in Bluff Beach (about 30 minutes away). It doesn't end there: see the sky in a new way at Plastic Bottle Village and admire the natural beauty at Finca Los Monos Botanical Garden. Plan my Bocas Town trip by asking Inpirock to come up with tips and suggestions. David to Bocas Town is an approximately 3-hour flight. You can also do a combination of taxi and ferry; or do a combination of bus and ferry. While traveling from David, expect a bit cooler days and a bit warmer nights in Bocas Town, ranging from highs of 33°C to lows of 33°C. On the 8th (Mon), wrap the sightseeing up by early afternoon so you can travel to Boquete. Your day-by-day itinerary now includes Cafe Ruiz Coffee Tasting, Jungla de Panama Wildlife Refuge, Volcan Baru National Park, and other attractions you added. Start off your visit on the 8th (Mon): see the top attractions with Cafe Ruiz Coffee Tasting, then get impressive views of Volcan Baru National Park, then indulge your thirst for a good beer at Boquete Brewing Company, and finally head outdoors with Mirador Adventures, S.A.. Get ready for a full day of sightseeing on the 9th (Tue): identify plant and animal life at Jungla de Panama Wildlife Refuge. For where to stay, photos, reviews, and tourist information, refer to the Boquete trip builder . Traveling by combination of ferry and taxi from Bocas Town to Boquete takes 3.5 hours. Alternatively, you can do a combination of ferry and bus. On the 10th (Wed), wrap the sightseeing up by early afternoon so you can drive to Playa Las Lajas. Surfer Paradise Private Island has been added to your itinerary. Start off your visit on the 10th (Wed): kick back and relax at Playa Las Lajas and then see Surfer Paradise Private Island. To see where to stay, photos, ratings, and tourist information, go to the Playa Las Lajas trip planner . 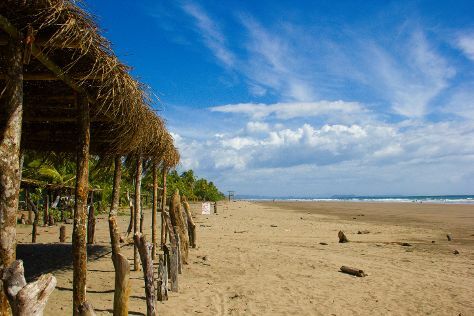 You can drive from Boquete to Playa Las Lajas in 2.5 hours. Alternatively, you can take a bus. In April, plan for daily highs up to 39°C, and evening lows to 28°C. On the 11th (Thu), you'll travel to David. 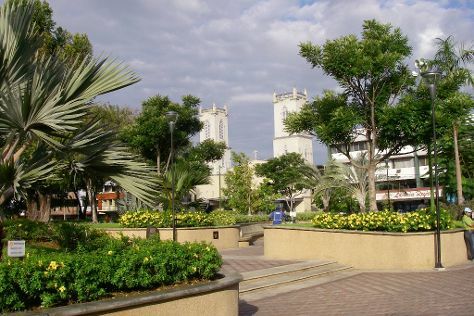 A base for exploring the west of the country and further afield, David benefits from the Pan-American Highway going right through town, linking it to cities in the east of Panama, and Costa Rica. To find photos, other places to visit, ratings, and more tourist information, refer to the David trip planner . You can drive from Playa Las Lajas to David in 1.5 hours. Other options are to do a combination of taxi and bus; or take a bus. In April, daily temperatures in David can reach 39°C, while at night they dip to 28°C. Finish your sightseeing early on the 13th (Sat) to allow enough time to travel back home.